Our gas safe engineers help you to choose the right heating system depending on your budget, physical space and need. They start by visiting your home or the commercial site, where you intend to install the apparatus. Once they are satisfied with assessment results of the suitability of the site, they proceed to advise you on the boiler make that may best serve your need. No charges are attached to this consultancy service. Eco Efficient Boiler installation Edinburgh is seasoned in an array of boiler services. 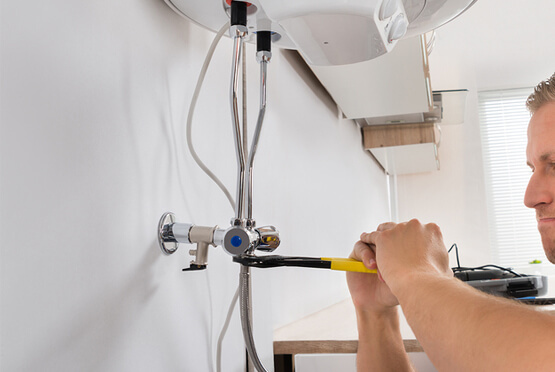 Our services range from maintenance to fixing gas and boiler leaks, central heating repairs, boiler installation, repairs, replacement and gas central heating installation. Our services are packaged in an attractive manner so as to suit your pocket. None of our competitors can match our quality. We value your comfort and well-being. Regardless of the size, make and design of the boiler, our team of competent engineers are experienced in conducting elaborate installation processes. They install and test the appliance in accordance with manufacturer's instruction to ensure operating pressure and the heat input are correct, they also ensure the effectiveness of the flue, and that all ventilation requirements are to the current standards. And when they are done installing, they leave your place tidy and clean. Our team of engineers understand the importance of safety, and for this reason they advise you on how to use your new boiler and controls. They are aware that poor installation and maintenance could lead to the damage of the whole apparatus. This could lead to total breakdown of the boiler, which may lead to destruction of property and life. Apart from this, they also drill you on how to detect any potential defect in the boiler. Our boiler service experts take all relevant cautionary measures to tests the boiler, during and after the installation process. This guarantees that any potential problems are spotted and the appropriate preventative measures are carried out. This ensures your heating system works effectively and efficiently. They are aware too that any neglect of the specified manufactures instructions can cause serious problems. We do not just stop at installing your boiler. We have developed follow up packages aimed at repairing and maintaining your boiler. Eco Efficient Boiler installation Edinburgh is a believer in guarding your safety. It is through our annual or regular inspection of the installed boiler that we ensure this. We are authorized and licensed by the relevant regulatory bodies to conduct annual or emergency elaborate inspection exercise of boiler and controls, and general boiler maintenance and servicing. Whether you are an old customer or new, whether we installed the boiler for you or not, you can count on us for durable boiler installation and servicing. The technology and methods we use in installing boilers are top-notch. The efficiency and experience we have in this field is unrivalled in the whole of Musselburgh, Dalkeith, Livingston, Leith and Blackford areas. Do not be left behind. Come to us for professional boiler installation services in Edinburgh.